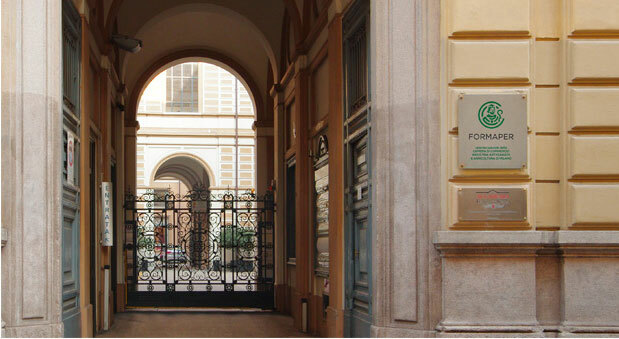 Formaper is the training Agency of the Milano-Monza-Brianza-Lodi Chamber of Commerce, Industry, Craft and Agriculture and brings an in-house competence arising from the training demand of the 325.000 enterprises registered within the Milan CCI. Being part of the Milano-Monza-Brianza-Lodi Chamber of Commerce, Formaper is involved both at national and international level in networking activities with Chambers of Commerce, business associations and business centres to be actively involved in private sector development advice and support. Institutional task is to contribute to the development of an entrepreneurial culture building on specific know-how acquired in the most dynamic and vital of Italian regions, which includes several world-class SME clusters. The objective is to support sustainable economic and social development through the provision of high quality training and consulting services. Entrepreneurship services to would-be entrepreneurs cover the entire cycle of enterprise development from business start-up and orientation to business development and growth, through tailored training programmes for owners and managers, entrepreneurial coaching and consulting, grant schemes management. Services performed respond to the widespread demand from small business environment for regional competitiveness enhancement at local and international level. Services for SME development include business planning, financial services, ICT and marketing. Formaper brings an outstanding experience in formulating tailored training initiatives thereby including training of trainers courses (ToT) and individual support such as mentoring and coaching. Training and consultancy services are complemented by provision of free-of-charge information and orientation by Operational Desks. Involvement in Italy and abroad on adult learning and related links with labour market is carried out through projects encouraging employability, reducing social exclusion, promoting self-employment and entrepreneurship through an ESF (European Social Fund) approach. Our activities provide counseling and training to adults, would-be entrepreneurs, unemployed thereby promoting active employment measures in a life-long learning (LLL) perspective. Formaper brings an in-house knowledge and experience in providing continuing vocational training for adults whereas a dedicated internal department has a proven track record of project experience. Being part of the Milan Chamber of Commerce and the National Union of Italian Chambers (Unioncamere) Formaper is relevant part of the continuing VET Italian system and has access to a wide network of Italian and European Technical Education and VET Institutes. Experience on regional development services includes capacity building for Business Support Providers (BSPs) and SME development Agencies staff as well as institutional strengthening or building of their services delivery. Formaper is actively involved on European Regional Development Fund - ERDF - Structural Funds implementation with a view to manage financial Grant Schemes to raise competitiveness at regional level. Formaper has an in-house specific experience on projects design and implementation with regard to economic and social empowerment of women, including vulnerable women. Expertise in promoting women entrepreneurship while assisting them through adequate institutional support services was developed since Formaper’s creation (1987). Ever since then this has allowed to build an integrated support model based on a mix of information-training-assistance and mentoring services specifically targeted at women, covering the whole enterprise life cycle. Formaper carries a substantial experience on gender issues for women social and economic integration, thereby preventing domestic violence practices and institutionally setting centers complemented by access to enterprise start-up initiatives. At Public administration level Formaper expertise covers training and capacity building for public sector bodies, public expenditure management services for central and regional administrations and support to community organization. Formaper has a specific experience and direct knowledge in successful implementation of complex tailor-made internship projects for managers and graduates on both national and international level, based on approach of individual design, careful consideration of personal project coaching and extensive coverage of various industrial sectors. Formaper has a large and consolidated experience on internship organisation programmes for foreign managers in Italian companies as well as EU nationals graduates abroad which dates back to 1994. Formaper works with major international donors such as the EU- EuropeAid, the World Bank and the Italian Ministry for Foreign Affairs. Formaper is accredited at the Lombardy Regional Government for the provision of services on training and employment sectors and certified by ISO 9001 quality system. Relying on an international experience since 1995, Formaper has to-date managed some 100 projects in more than 35 countries worldwide, for a total amount exceeding 27 million Euro directly managed. Our projects, mainly funded by the EU, are aimed at providing capacity building and entrepreneurship development services, both in Europe and in non-European countries. Below follows the list of our country experience.